If your firm has more than one person at the office, you need some way to communicate internally. Tried and true options consist of sending time-consuming back-and-forth emails, walking to their desk to talk in-person, and of course, yelling across the hall. For teams larger than two people, yelling across the hall is extremely inefficient. Sending a one-line email, waiting for a reply, and getting a response takes too much time. Instead, we recommend you look at different chat platforms to streamline your intra-office communications. By making it easier for employees to interact, follow news, track referrals, and more, the communications solutions help law practices run smoothly. With a little creativity, each program can be customized to meet the needs of your practice. Contactually provides an extremely user-friendly CRM that would be an asset to any law firm looking to help its team stay on top of its contacts. 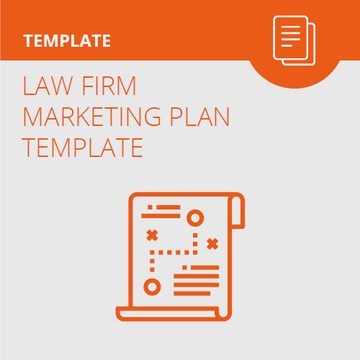 It provides a solid set of tools to help law firms manage their contacts, keep in touch, and develop new business. By turning "staying in touch" into a game, Contactually is very effective at helping its users reach out to contacts. Whether you are looking to generate new business from referrals, upsell existing clients, or get potential clients to sign with your firm, the Contactually platform is an invaluable asset to make it happen. It’s been a pleasure to share with you all our favorite productivity tools here at JurisPage. 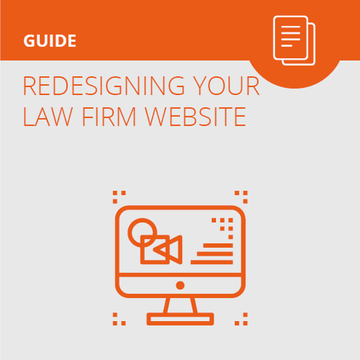 Hopefully we gave you a few tips that can help you run your law firms more efficiently, saving you time and saving you from stress. Given how well this post series went, we will definitely make sure to provide you with some new articles in the near future about productivity tools you can use in your law practice. ScheduleOnce is an app that taps into your online calendar. It allows you to set “free” and “busy” times for you to take meetings, and will stay current as you fill your calendar with appointments and events. Then, if you share the link with someone, they can set a time for a meeting. Once the meeting is set, the appointment syncs to your calendar. Headspace is an app to help you meditate in 10 minutes each day, helping you to reduce stress, be happier, be less distracted, and also work better. One year ago I would never have thought I would be sharing a post on meditation on our legal tech / practice management blog. But, as I work with lawyers continually, many of whom get stressed from time to time, I think this post is necessary now more than ever. So far the productivity tools we’ve gone over have been great to help you work more efficiently with the time you have. Now it is time to unleash some serious productivity power – making it so you do not have to do any work at all. Automating your workflows can eliminate repetitive administrative tasks (e.g. data entry) that otherwise eat time out of your busy day. Saving email attachments to specific folders, adding new contacts to Mailchimp, sharing new blog posts to Facebook. All of these tasks can be automated so you do not have to do anything. This next post in our week of productivity tools series is specifically for anyone using Gmail or Outlook to manage their emails. Is your inbox overflowing? Do you want to know if people are actually reading your emails? Do you have so many emails that it makes everything seem overwhelming? Do you want to get to your emails, but put some off to answer later? If you answered yes to any of the above questions, Boomerang has the solution for you. Boomerang helps you manage your emails better. It has a few core features including boomeranging emails, tracking your emails, and scheduled sending. Want to feel guilty about spending time browsing Facebook, news sites, or Reddit? RescueTime is an app that lets you know how much of your time spent during the workday is productive. With RescueTime you can categorize the websites you visit as productive or unproductive. So, Westlaw = Research / Productive; Facebook = not productive. So when you are browsing online, RescueTime counts how much time you spend on each site throughout the day.